We provide a range of access control services. 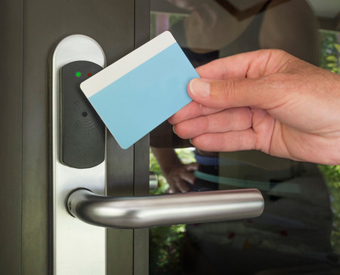 Access control is one of the fastest growing security solution for domestic or commercial properties, as a secure, flexible and cost effective way of controlling who has access to your building and when that access is allowed, whether you do this remotely or door to door we can find a solution that will work for you. We can supply and install a wide range of systems from mechanical push button locks to digital cylinders, card, code, biometric or proximity we can meet your requirements and budget. As a approved Paxton and Kaba installer we have a good relationship with our suppliers so we can keep up to date with the market leaders.